Making collages used to be time-intensive and costly, requiring trips to the crafts store for materials, lots of cutting, and lots of adhesives. 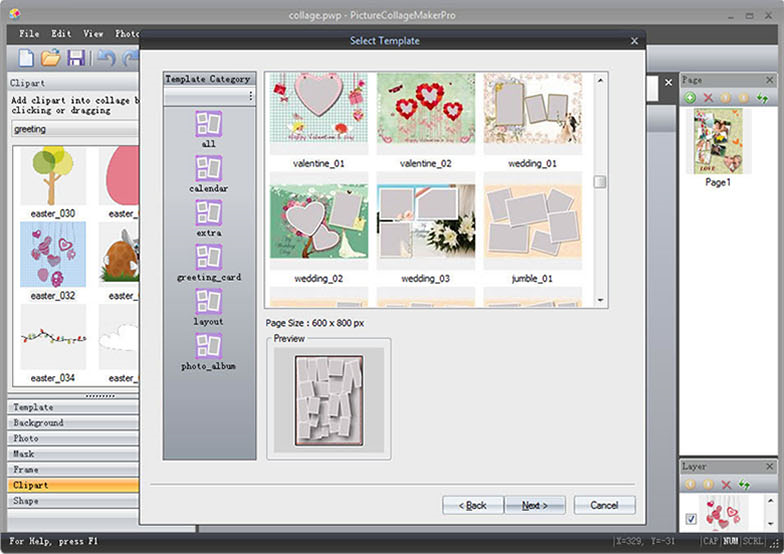 But the march of technology ushers in new and easier ways of doing things, and today's discount software promotion, Picture Collage Maker Pro, brings collages into the 21st century! Picture Collage Maker Pro lets you easily create photo collages and digital scrapbooks that are ready to share with friends and family! With Picture Collage Maker Pro, your digital photo collection becomes a valuable source of all kinds of creative projects. You can get up and running quickly, thanks to over 130 included templates that get you started with not only collages, but also scrapbooks, posters, invitations, calendars, greeting cards, and more. Enjoy access to a vast array of clipart, frames, masks, and other professional effects. Assembling your collages in Picture Collage Maker Pro has never been easier! Just drag and drop your photos right into the collage, then resize, rotate, and reposition elements to your liking. Throw in some clip art, text, and custom backgrounds to bring your unique touch to the project, then export your finished product as a digital image, set it as your desktop wallpaper, print it out, or email it. 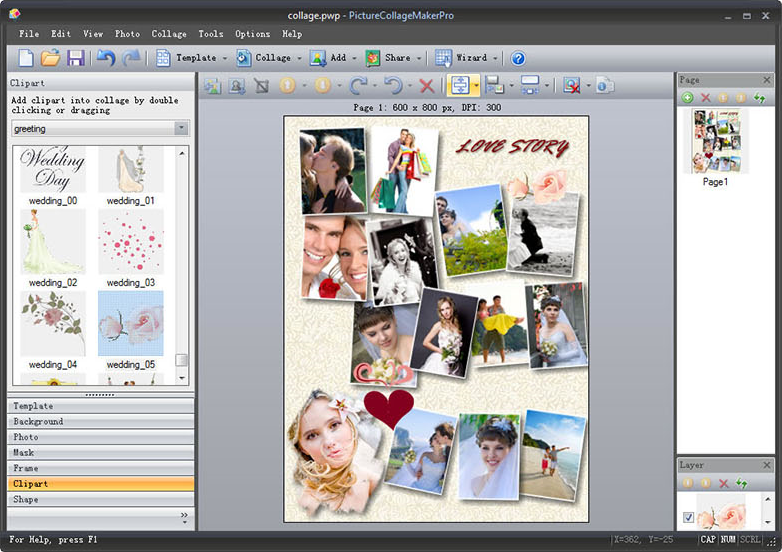 Trying to decide which version of Picture Collage Maker (Picture Collage Maker Pro for PC, Picture Collage Maker) is right for you? Check out the feature comparison matrix and make an informed decision! The page for the Mac version is here. After you purchase Picture Collage Maker Pro it may be used indefinitely. Picture Collage Maker Pro is licensed per user, so if more people are going to use Picture Collage Maker Pro you will need to purchase additional copies. 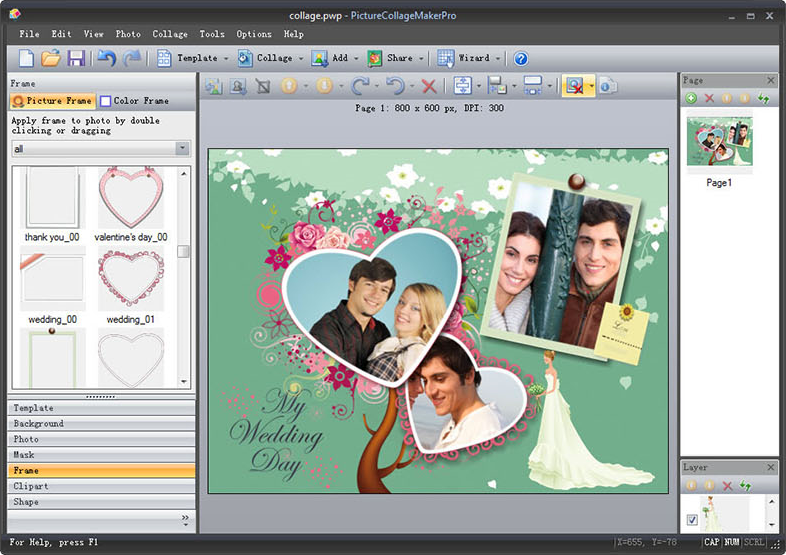 Each license allows installation on all owned computers, but Picture Collage Maker Pro may not be used at exactly the same time on each of them.